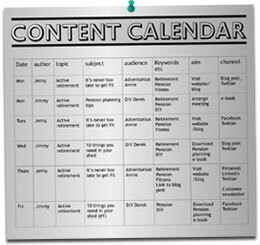 How to create a content strategy that works! If you want to tap into the power of content marketing but you’re not sure where to start our guide to creating a content strategy that works is all you need. It’s a practical guide to content planning that will save you hours of research and kick start your inbound marketing project. Please complete the form on the right for an instant download. Get our free guide to creating a content strategy that works!